I was born in the UK, then my parents immigrated to Australia when I was 4 years old. I eventually decided to go back to my roots and check out Europe (and the world). After some time living in London (and Oman for a short stint) a friend suggested I would like Amsterdam..the rest is history. 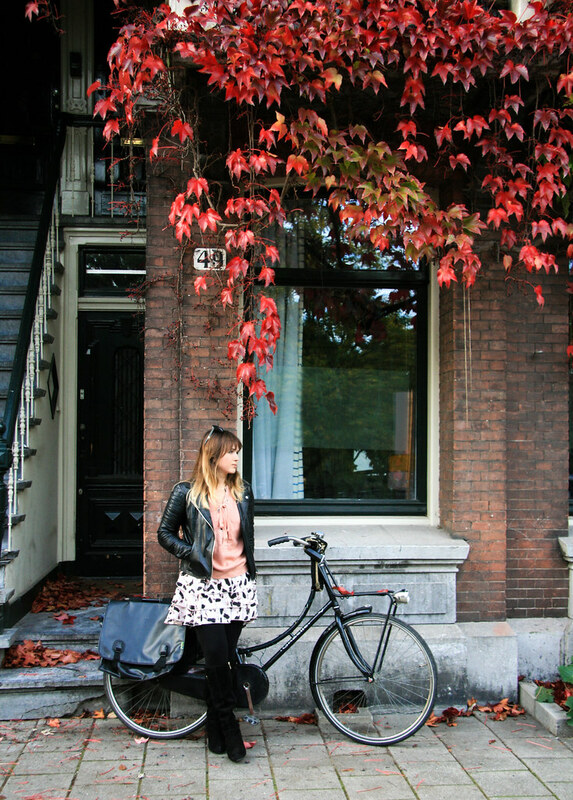 I arrived in Amsterdam intending to stay just for a year with the summer job I had on offer. Three years later that job ran out & I wondered what was next. 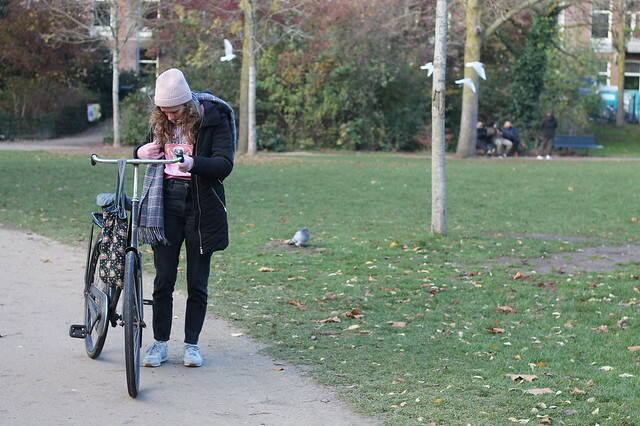 I was convinced by someone that I could be a tour guide, which was interesting as I knew really very little about Dutch history, but I gave it a shot anyways. 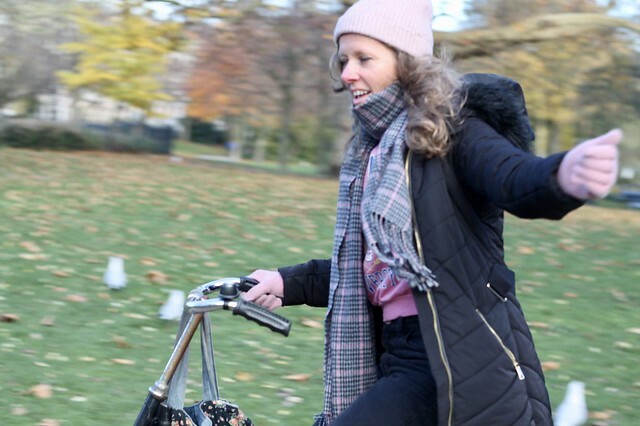 I started doing walking and bike history tours whilst studying myself and taking to the streets to find out more. I was hooked by the history and it continues to today. 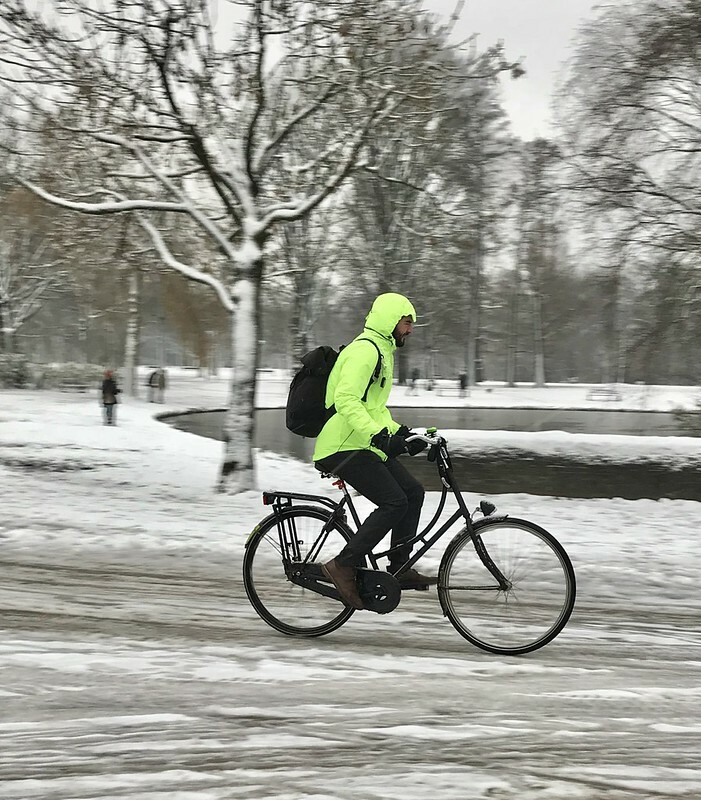 How did you initially find the biking culture here? 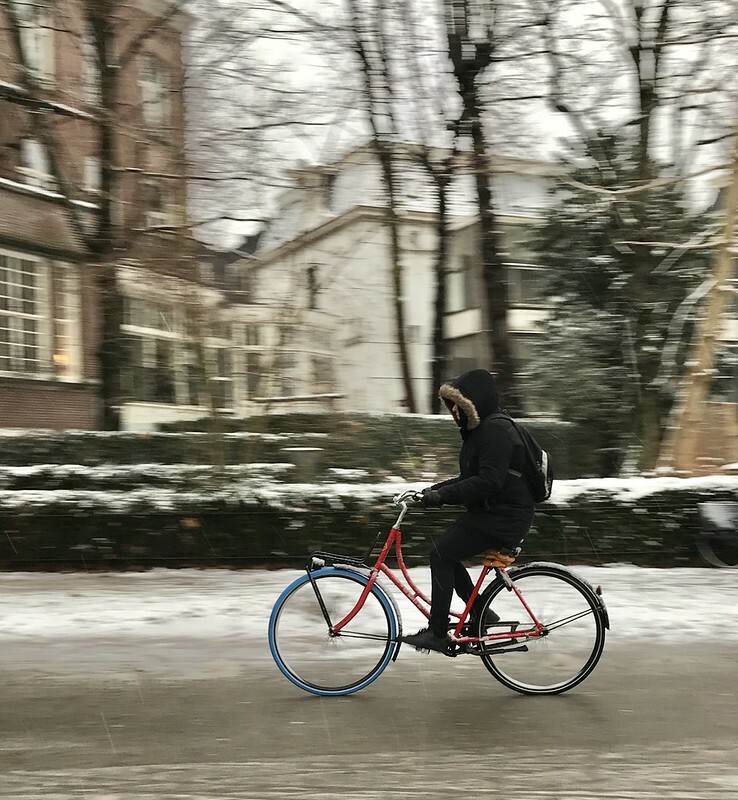 My first few months in Amsterdam I was very scared to cycle. Eventually a friend forced a bike on me. I realized the bike was almost brakeless but I continued to ride it (Fred Flinstone style) until it died. After that bike, it was only onwards and upwards. 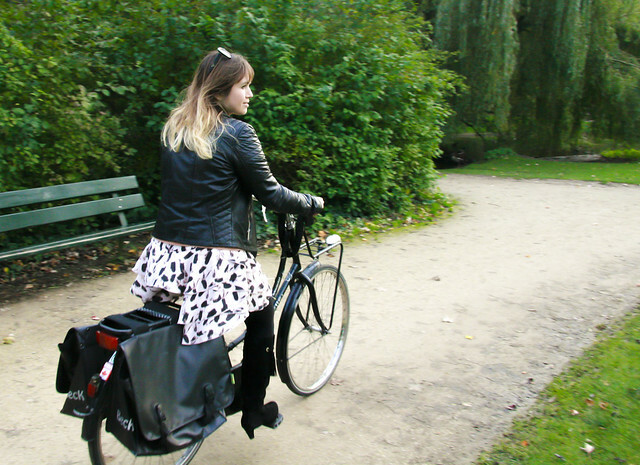 Being a bike tour guide gave me confidence in the end. After leading a pack of 20 tourists on most days around the crazy centre of Amsterdam, I became very acquainted with the city. But now, I am happily enjoying the ride without people following. 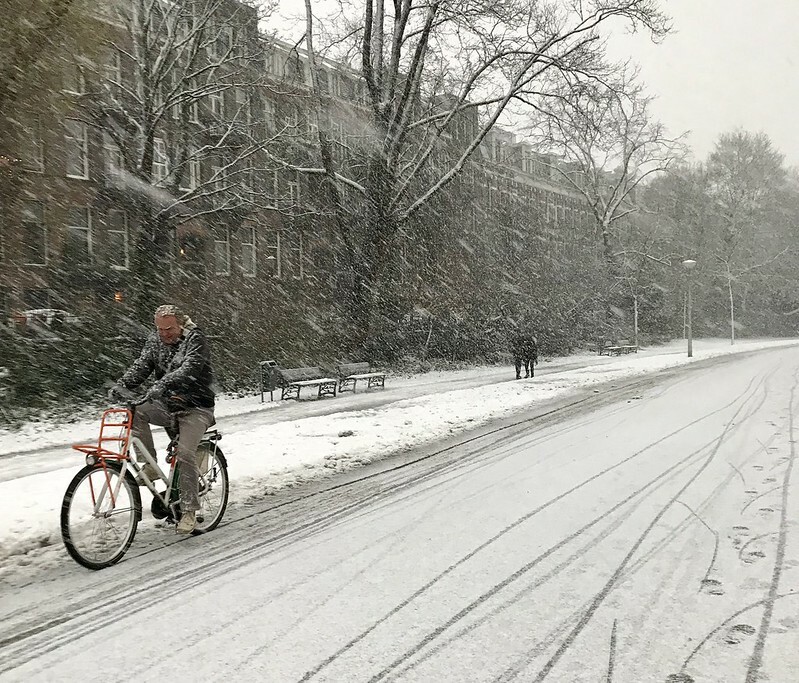 Amsterdam and I have had our ups and downs, but in the end there is nowhere like it. And nowhere else to bike like it, with such a beautiful backdrop every day. 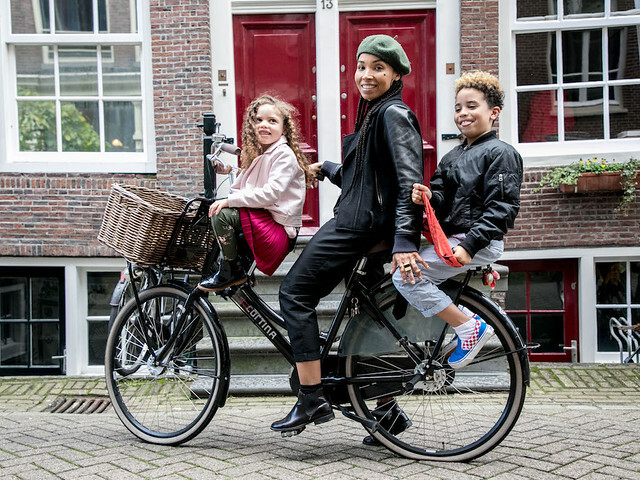 What interested you about joining the Amsterdam Cycle Chic team? 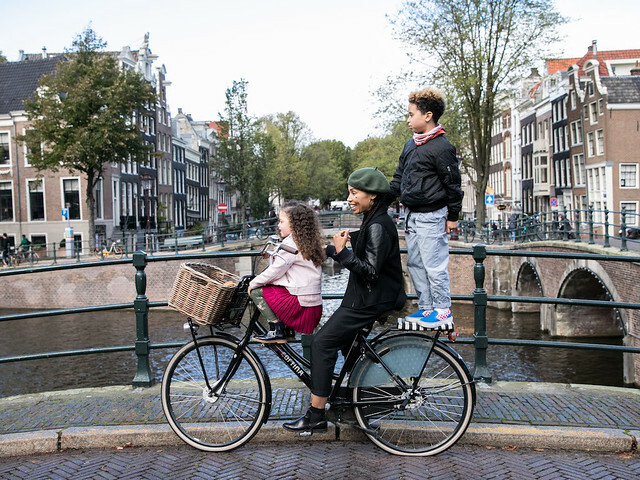 Living in this outdoor museum of a city, with all the comedy and life by bike going on, I started capturing funny or beautiful moments – just for fun. 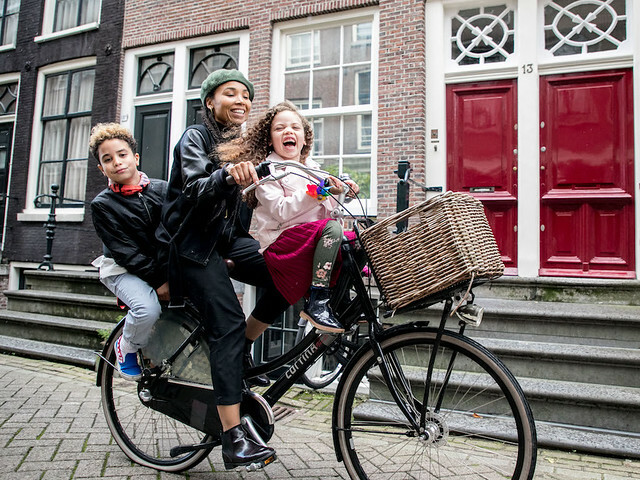 So Amsterdam Cycle Chic became kind of an extension for me to share with more people this brilliant bike culture here in our beautiful Amsterdam. I love to go by people singing their hearts out, or carrying their dogs or their family or whatever it is that needs to be transported. I often sing a song myself when the mood hits. 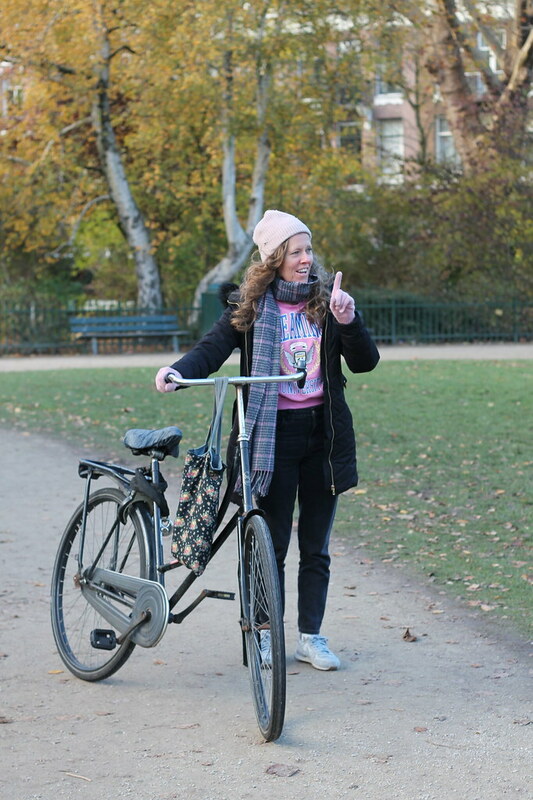 And I think I might hold a record in this town – my bike and I have been together for around 8 years – through thick & thin. IF (if!) I ever do move back to Australia, she will be coming with me one way or another. Seth is a graduate student at the University of Oregon (USA) studying urban planning. 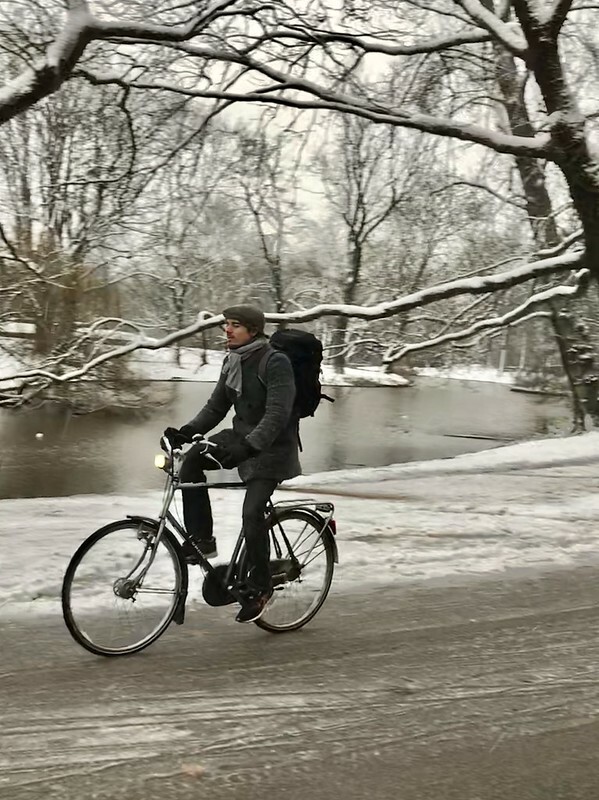 Last summer, he took a study abroad course and biked through Copenhagen, Malmo and Amsterdam. The trip made such an impression on him, that he often thinks about his time in Northern Europe. He reached out to us and asked to share his lessons from the experience – and we are happy to share! In America, when I tell someone I ride my bike to school, I’m generally met with a warm “good for you.” Like I’ve done my part to curb carbon emissions for the day. Like I’m one of the good ones. 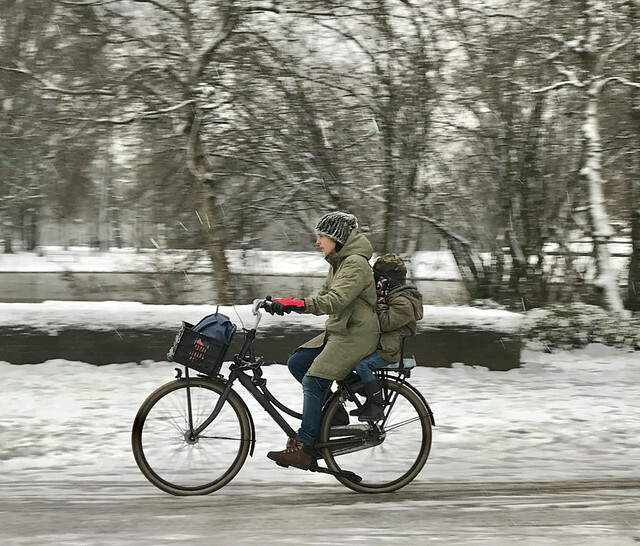 Biking in America is perceived as a sacrifice of time because driving a car is easier and faster. But most Americans don’t know what they’re missing. 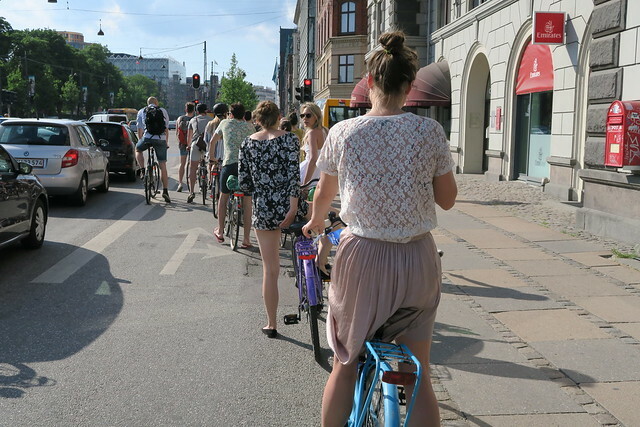 Last summer, I biked through Copenhagen, Malmo and Amsterdam to study bicycle planning with fellow students from the US. Not that you should drop what you’re doing to go there and bike, but it’s pretty fantastic. Now that I’ve been back home for a few months, I had time to reflect on my experience and I’d like to share my six lessons. We began our trip in Copenhagen. 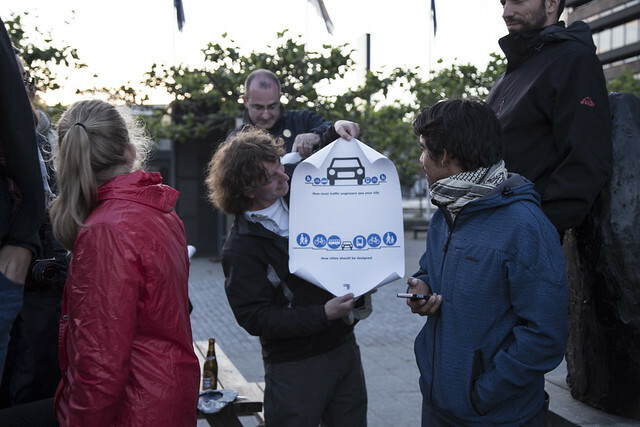 On our first day, we were thrown on the road after a series of careful instructions. I felt 16 again. Shaky with a new driver’s permit in hand. At first, I felt anxious, but soon that feeling subsided. 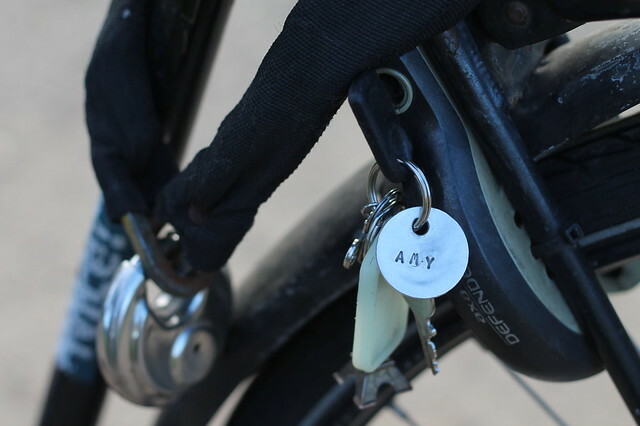 Because after the initial shock passes, I realized that bicycle users aren’t really cyclists; they’re just people. 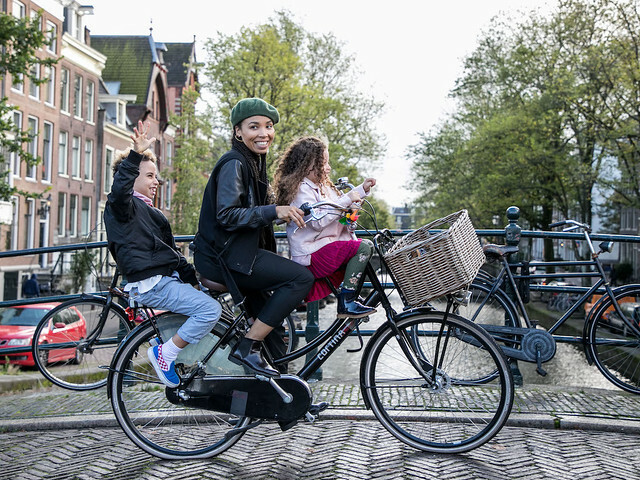 They’re riding to work, dinner or a beer with a friend. They’re just normal people, doing normal things. 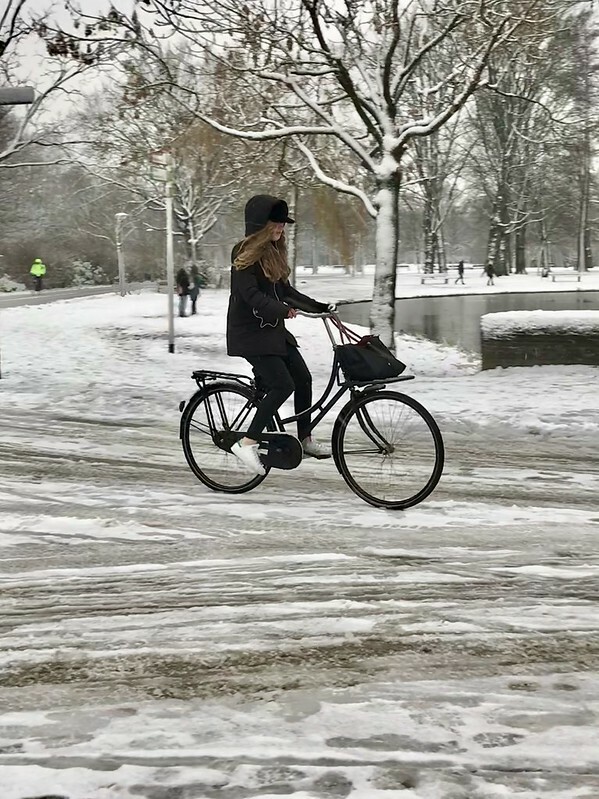 The bike infrastructure in Copenhagen is special, too. 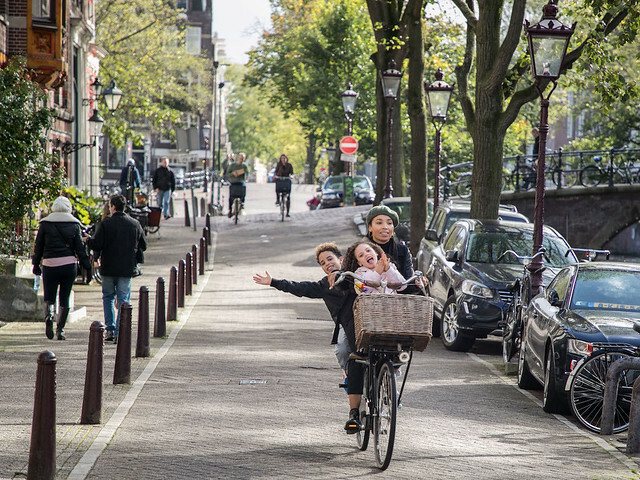 Most streets are lined with designated bikeways buffered from cars. When you do encounter a normal (mixed) street, car drivers are generally courteous. How empowering it felt to have the space I needed and to be recognized by people using other modes! The Danes like their rules. If you obey the rules, everything works wonderfully well. Like the single-file lines on the bikeways. Or when you pass a slower rider on the left after a polite bell ring, then resume your place in line. Riding at rush hour is stressful, but still manageable. 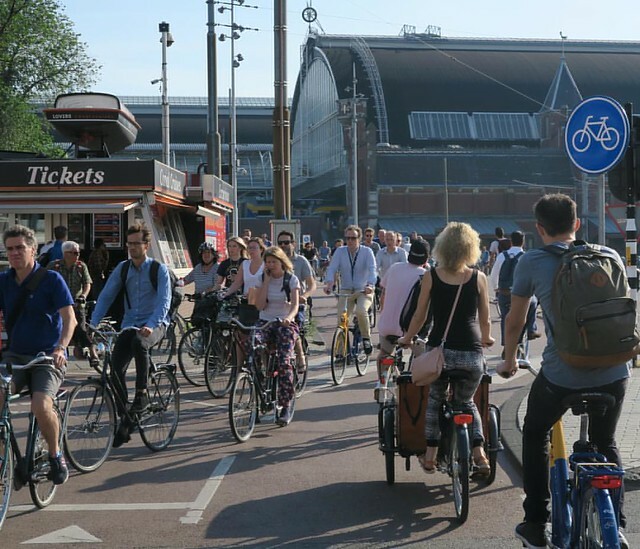 Amsterdam has its own madness at rush hour, but after a while you get used to the chaos. Unlike Copenhagen, rules aren’t obvious, but they do exist. You get used to the ‘chaos’ by simply being in it – over and over and over again. The system works for thousands of people, I kept reminding myself. 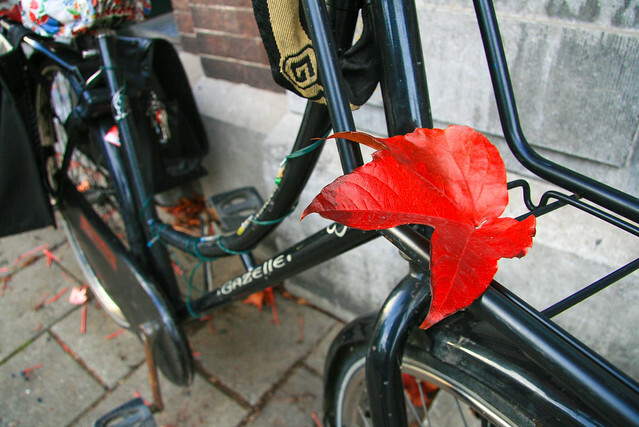 Stay alert, keep pedaling and focus on the ride. 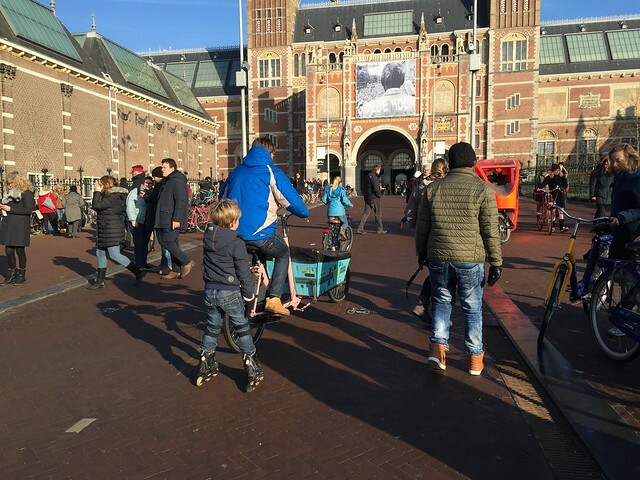 #3 Communication can be different I quickly got used to sounds of bells in Amsterdam. Most Americans consider honking as an affront – a signal that we’re doing something wrong. In Amsterdam, it’s simply a notification. “Hello, I’m behind you. I’d like to get by, so kindly move.” No one’s angry or even disgruntled. It’s simply communication. 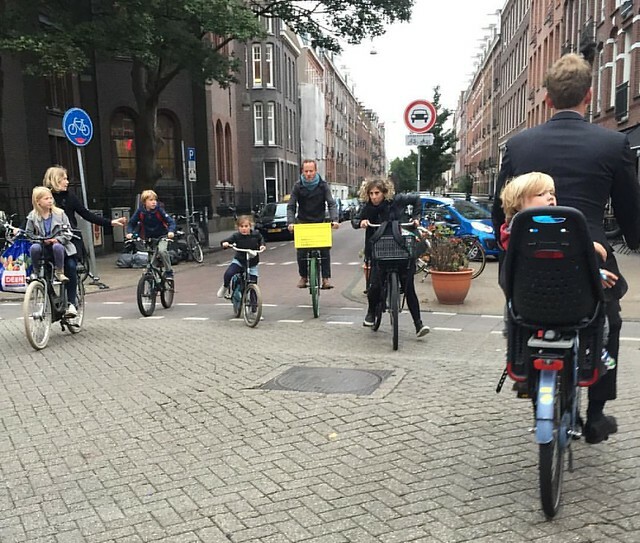 In Amsterdam, stopping at an intersection feels like posting at the racing block. Bicyclists swell into clusters waiting for the signal to turn. You’re side by side next to other cyclists. At first I felt claustrophobic, but with time that eventually transitioned to mere discomfort. As an American, I’m used to having loads of space. Maybe with more time, I’d come to appreciate the closeness. 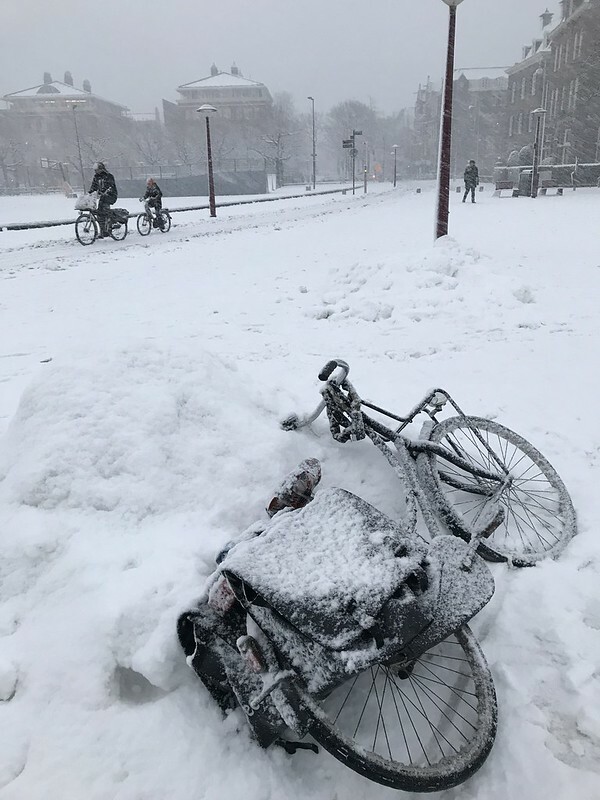 Also, Amsterdammers are either extremely skilled or simply less fearful of disaster. I think people here just worry less about consequences – and they know the system works for them. 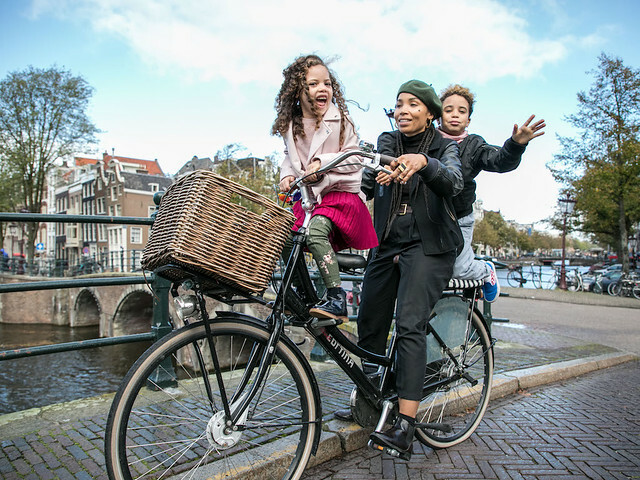 A traffic engineer we met in the Netherlands told us that parents expect kids to get scraped when learning to ride. Less than 1% of people wear helmets. 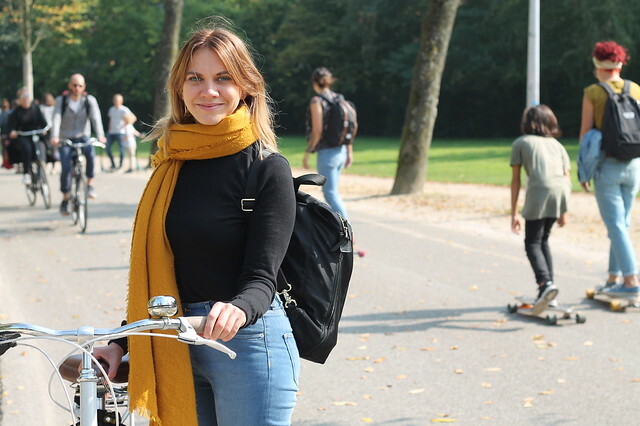 They believe if a helmet law is passed, fewer people will ride. The law would be a barrier for riders. Wrapping children up in pads and strapping on a helmet gives them false security. 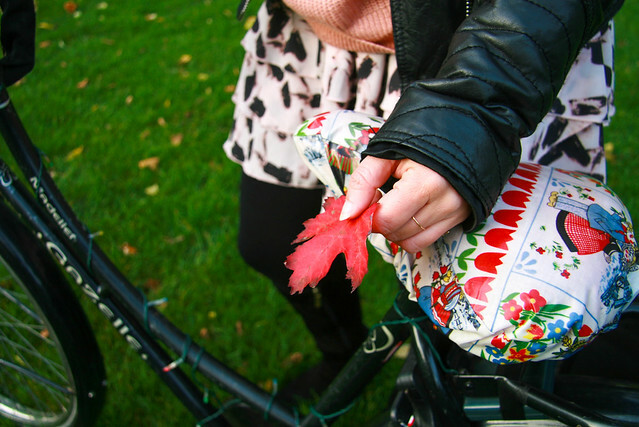 Forget the training wheels; ditch the pads and let them fall. The pain teaches them what to avoid. This logic seems counterintuitive to Americans, but I get it. 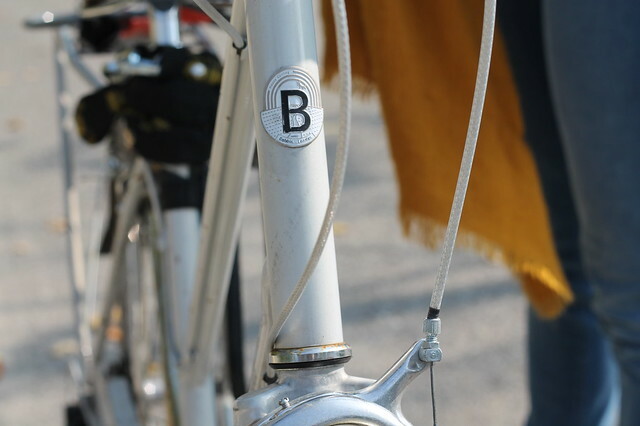 The mass numbers of people on bikes was intimidating, but that’s what made it magical. The number of users is testament to the system’s success. 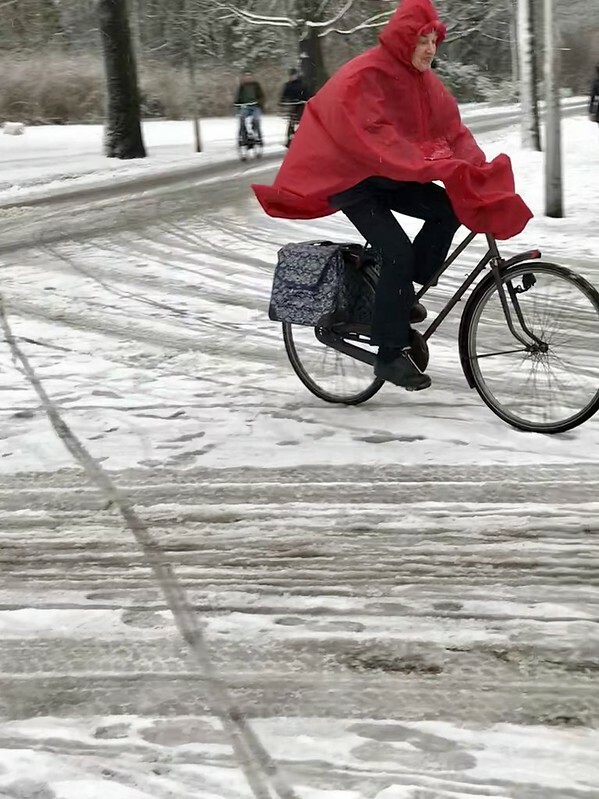 The bikeways in Amsterdam resemble blood cells flowing through veins. 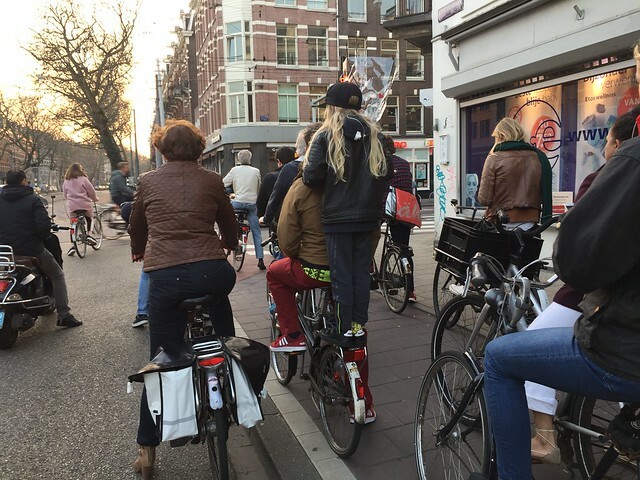 Thousands of cyclists stream past cafes, office buildings and restaurants. 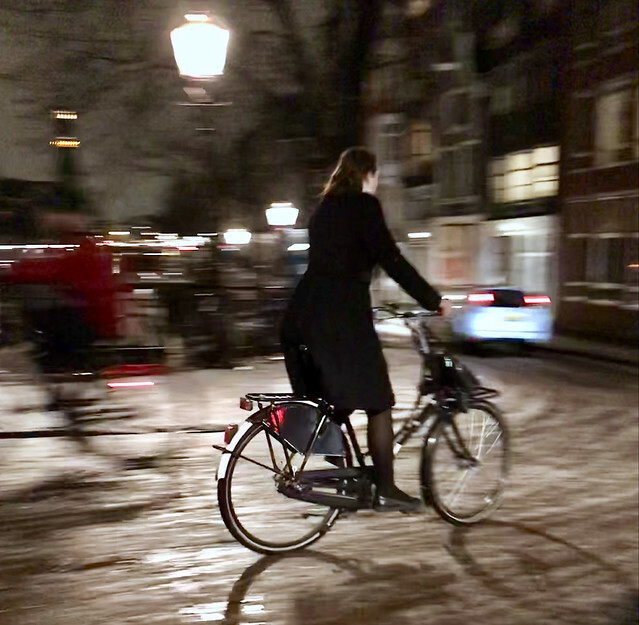 Unlike Copenhagen, riding shoulder is allowed, and also commonly practiced. Cyclists routinely pass on your left with inches to spare. And somehow the mopeds discover gaps between bicycles that seem impossible. Nevertheless, every trip was filled with excitement. I’m used to viewing bikes as “alternative transportation.” Bikes are alternative because there are always other options available. 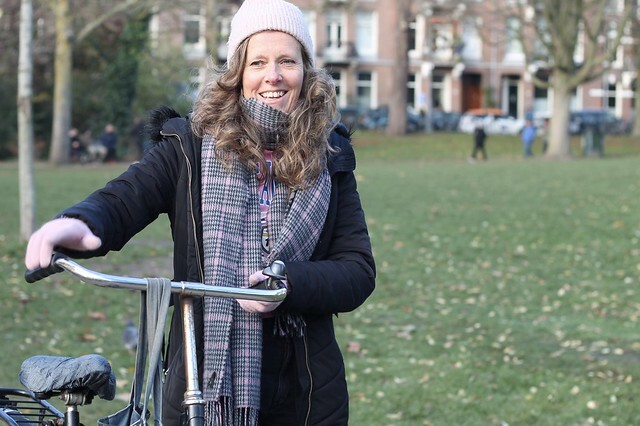 In Copenhagen and Amsterdam, bicycles aren’t just a way to get around, they’re a part of life. 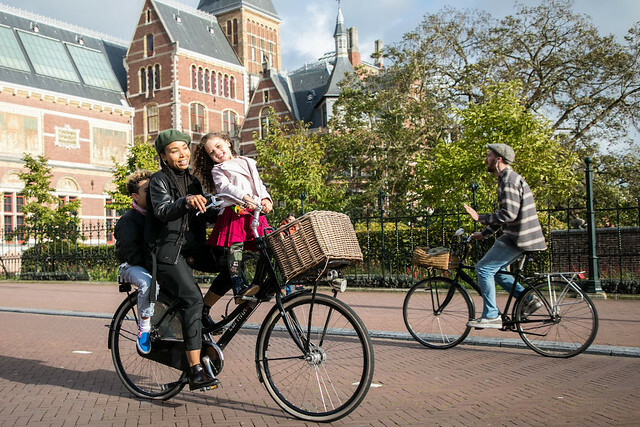 The bicycle is so immersed within the culture, it’s impossible to think of these cities without it. The trip opened my eyes to what’s possible. I discovered more than what a quality bike lane looks like (and should look like) – I learned what’s possible through collaboration. When people work with a shared purpose, just about anything can happen. People who disagree with one another can cooperate and achieve collective objectives. That’s fairly radical thinking for most Americans. I expected my study abroad trip to be insightful and entertaining, but not life changing. This isn’t to say I’ve become an activist, but I now understand how it’s possible to influence society with the right motivation. Everything is easier when we work together. That seems to be the greatest lesson I learned from this trip, and likely the greatest challenge for other cities. Thanks for sharing Seth! We love hearing from readers and followers, near and far. Feel free to share your thoughts below in the comments.